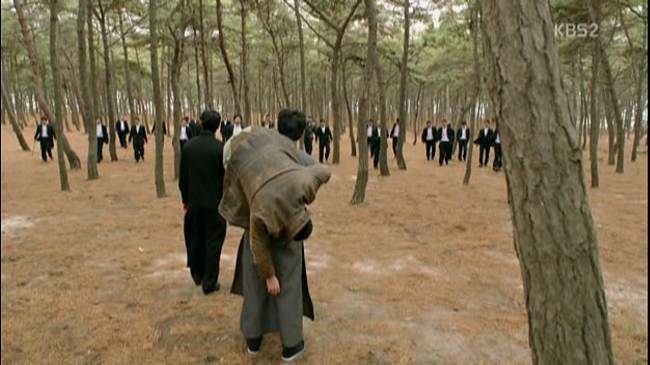 Lore: Episode 7 starts with Jung Tae being beaten up. What a surprise! He was tricked…because he thought he had to SAVE THE CHILDREN! 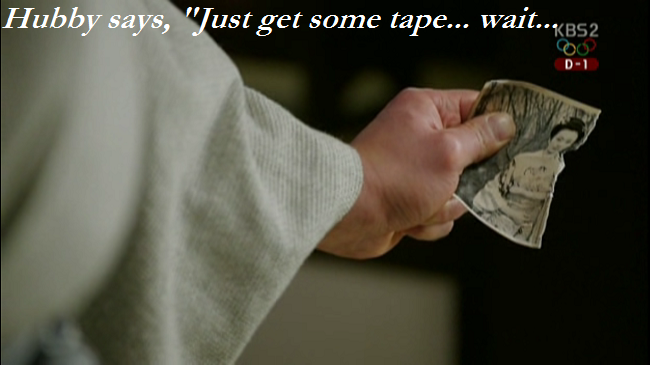 What the heck else happened in episode 7? Ekun: That’s right! He whooped him with a switch aka tree branch‏. 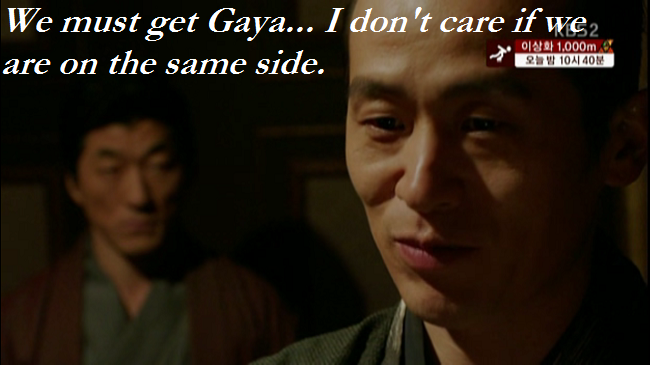 Ekun: I am really annoyed with Gaya- didn’t she ripped ninja’s picture of her mom and him? I was like B**** What! 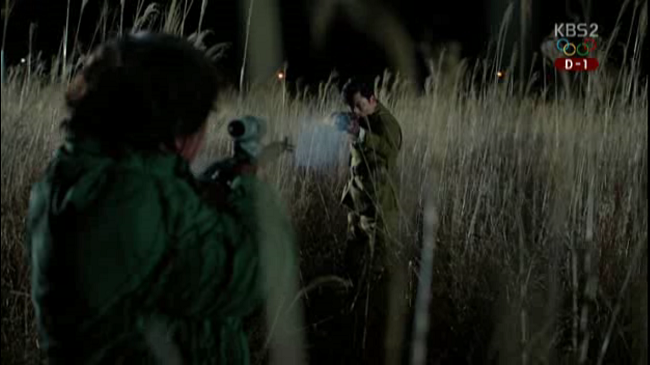 ?‏ She did kill him, and Soo (Aoki) went after them with the hunter and had a rifle fight with the hunter/assassin. Ekun: I have a lot to discuss about that in the next episodes. 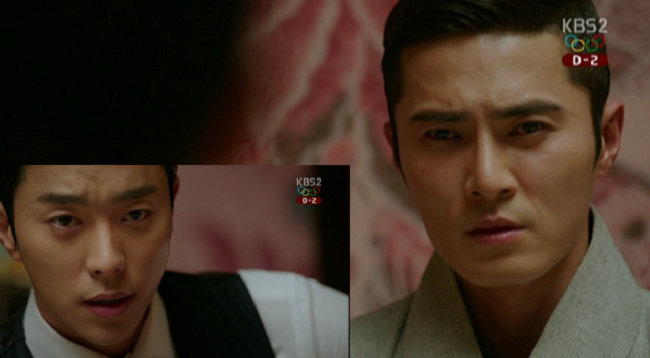 I have a bone to pick with Jung Tae pops‏. 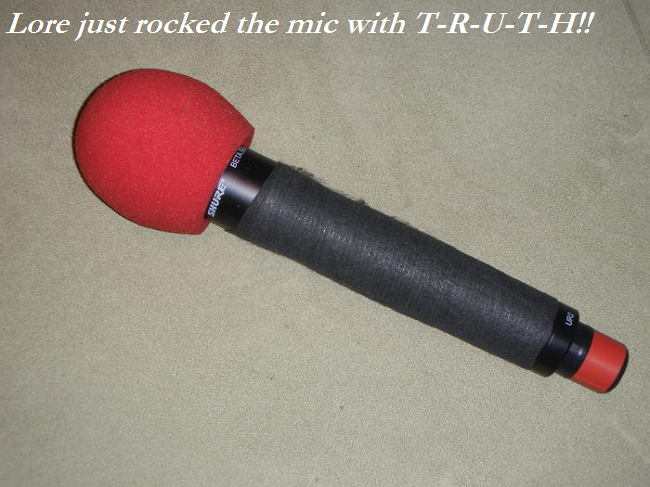 Ekun: It did, it did. But ironically, I was more interested in the story by the end of episode 10 than any other episode thus far. 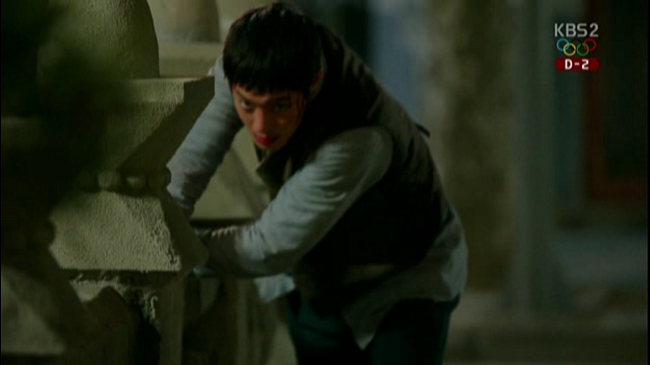 I think it has something to do with the dude that took over after Jung Tae dad died. 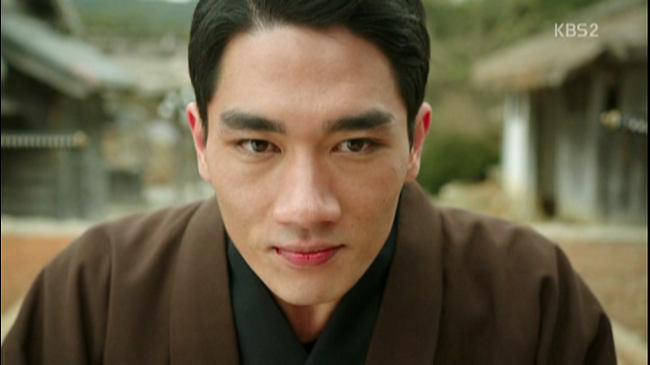 I like that actor… Kim Sung Oh‏. 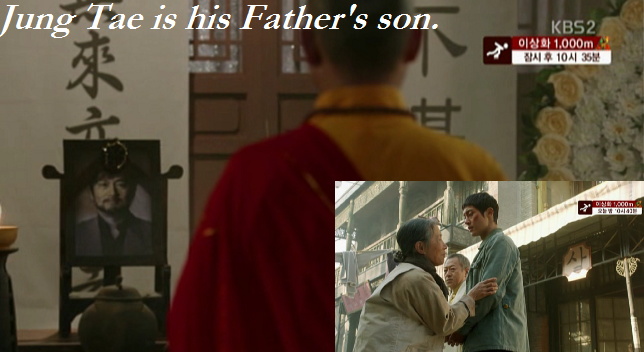 Ekun: Yea, He was in Ahjussi the movie with Won Bin, When a Man Loves, and Giant too‏. 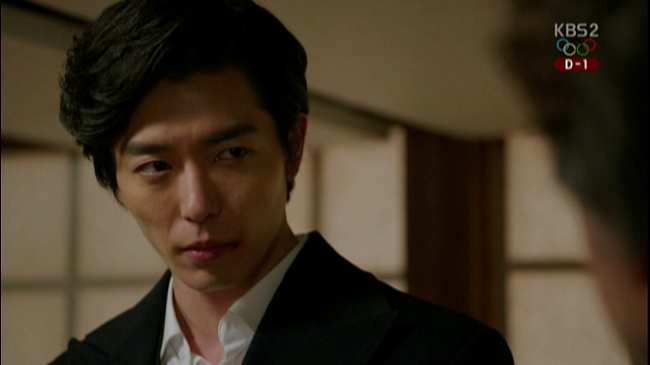 Ekun: *Sobs* Jae Wook Oppa!!!! ‏But I get it, he could get out without anyone really noticing;‏ I feel like they teased me and wasted his time with this foolishness‏. How can you be so heartless! You try to pull up other than you pull down the other in the same time.Gosh…feel like I read a piece of rabbis.You need to make your own drama than you recap or whatever fun chat you call than you can get your own award…???!!!! 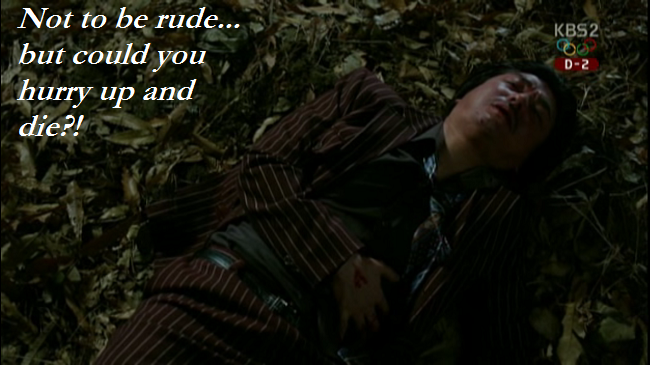 You are right… A man from the stars is a ridiculous concept– but the writing is good. It allows me (Ekun) to suspend reality of how asinine the concept is and makes me believe in what the story is trying to sell. I am elated that you are able to go there with AofF aka Inspiring Generation (suspend reality) and enjoy it– seriously I am! 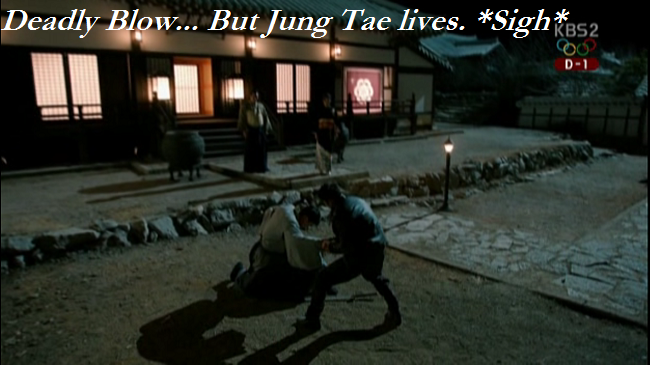 If the writer for this drama did that; I wouldn’t have so many problems with the show or the fact that Jung Tae never dies. I don’t recall saying I didn’t like the show (or Lore unnie for that matter), but I apologize if that is how you took it. The fact of the matter is this story has a lot of holes (in our opinion) and could have been better executed. We still have 14 episodes, and though I am not optimistic (due to the writer switch) this story still has time to get a “Kudos” instead of an “Uh oh”. E-Kun, I could not have said it better! I don’t hate Age of Feeling but I am disappointed in the direction it has taken (and as E-Kun mentioned the story direction can very well change). I am hoping I come out of this drama watching experience happy and satisfied. 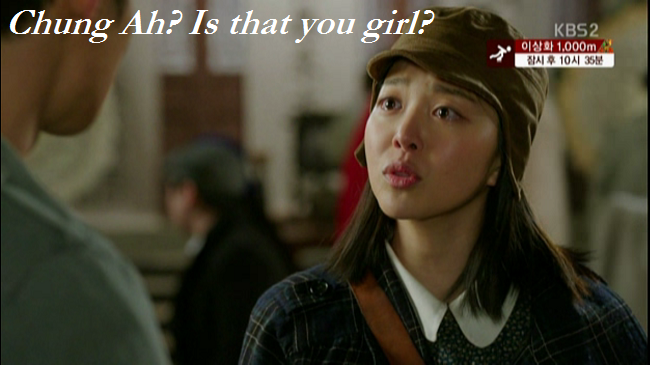 Regarding the ridiculous elements – yep, they happen in dramas (fiction in general) all of the time. It is a story after all and part of what makes fiction, well, fiction. I am not expecting 100% realism, but I am expecting the writing to make some sort of sense of events or at least wrap it all together with some continuity and a coherent narrative. Unfortunately AOF has not been doing this of late, so I felt the need to point that out. I am sorry if you took offense to the post, it was not my intent to offend anyone. I was simply sharing my opinion as an avid viewer of dramas.